Must take vehicle delivery by 1/2/2019. 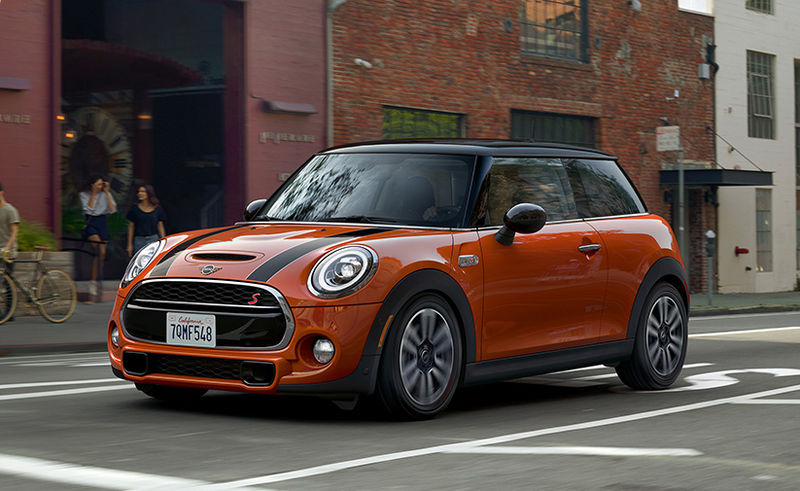 Available on select new 2019 MINI models at participating MINI dealers, excluding Oxford Edition, John Cooper Works, and Plug-in hybrid models. 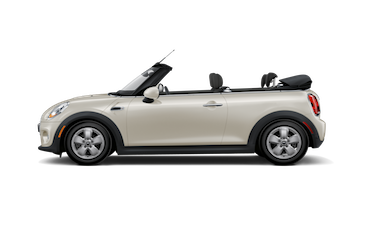 $1,000 off MINI Cooper S models and $500 off MINI Cooper models toward final MSRP. Certain exclusions apply. Valid on final negotiated price and can be combined with certain other MINI offers that are available at the time of purchase. 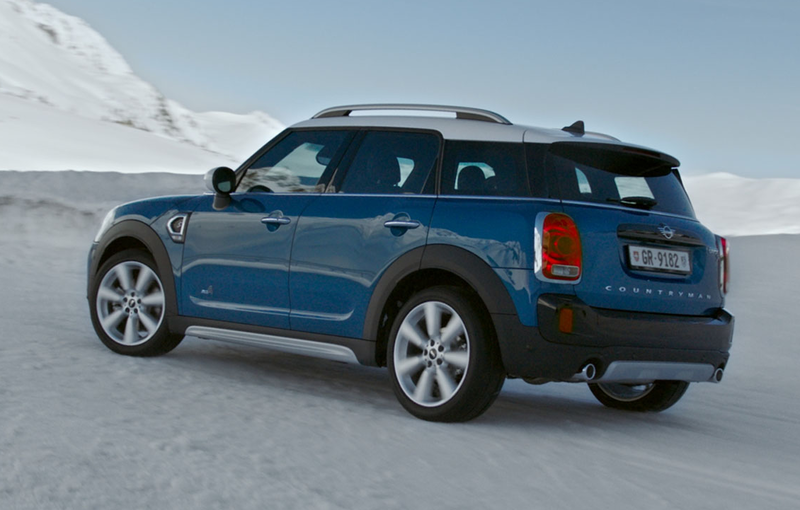 BOTH THE MINI COUNTRYMAN AND CLUBMAN OFFER AVAILABLE ALL4 ALL-WHEEL DRIVE. MOST IMPORTANT FEATURE IS THE TRANSVERSE ENGINE AND FAMOUS WHEELS AT THE CORNER LAYOUT TO CREATE MORE PASSANGER ROOM. MINI RACERS ORIGINALLY USED STRIPES ON THEIR HOOD TO CONVENTRATE ON THE TRACK AHEAD. 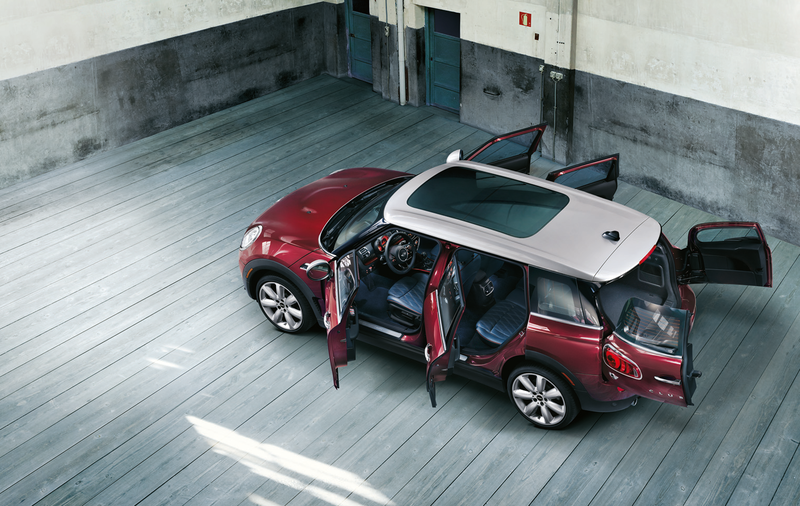 TO STAND OUT FROM THE OTHERS, MINI IS KNOWN FOR THEIR CONTRASTING ROOF & MIRRORS. 2019 MINI Cooper Automatic Climate Control, Comfort Access Keyless Entry, MINI Excitement Package, Panoramic Moonroof, Piano Black Interior Surface, Signature Line Package, SiriusXM Satellite Radio, Wheels: 16" x 6.5" Victory Spoke Black Alloy, White Turn-Signal Lights. 28/38 City/Highway MPG Price Displayed Includes Financial Lender Incentive, Trade-In Incentive, and other applicable rebates. See dealer for details. Buyers outside the Omaha metro area may be subject to a $385 Out of State Security and Compliance Fee. 2019 MINI Cooper Anthracite Headliner, Automatic Climate Control, Black Roof & Mirror Caps, Comfort Access Keyless Entry, Heated Front Seats, MINI Excitement Package, Panoramic Moonroof, Piano Black Interior Surface, Signature Line Package, SiriusXM Satellite Radio, Wheels: 16" x 6.5" Victory Spoke Black Alloy, White Turn-Signal Lights. 28/38 City/Highway MPG Price Displayed Includes Financial Lender Incentive, Trade-In Incentive, and other applicable rebates. See dealer for details. Buyers outside the Omaha metro area may be subject to a $385 Out of State Security and Compliance Fee. 2019 MINI Cooper Automatic Climate Control, Comfort Access Keyless Entry, Heated Front Seats, MINI Excitement Package, Panoramic Moonroof, Piano Black Interior Surface, Signature Line Package, SiriusXM Satellite Radio, Wheels: 16" x 6.5" Loop Spoke Silver Alloy, White Roof & Mirror Caps, White Turn-Signal Lights. 28/37 City/Highway MPG Price Displayed Includes Financial Lender Incentive, Trade-In Incentive, and other applicable rebates. See dealer for details. Buyers outside the Omaha metro area may be subject to a $385 Out of State Security and Compliance Fee. 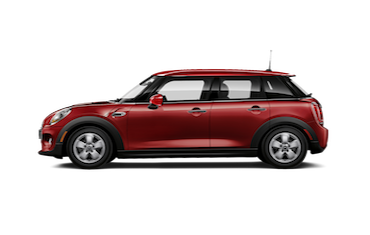 2019 MINI Cooper 28/37 City/Highway MPG Price Displayed Includes Financial Lender Incentive, Trade-In Incentive, and other applicable rebates. See dealer for details. Buyers outside the Omaha metro area may be subject to a $385 Out of State Security and Compliance Fee. This EXECUTIVE DEMO vehicle is Factory Certified and comes with a 5 year UNLIMITED MILE Warranty! 2019 MINI Cooper Auto-Dimming Interior & Exterior Mirrors, Automatic Climate Control, Chrome Line Exterior, Comfort Access Keyless Entry, harman/kardon® Logic 7® Digital Surround, Heated Front Seats, LED Fog Lights, LED Headlights w/Cornering Lights, MINI Excitement Package, Panoramic Moonroof, Piano Black Interior Surface, Power-Folding Mirrors, Premium Package, Signature Line Package, SiriusXM Satellite Radio, Wheels: 16" x 6.5" Loop Spoke Silver Alloy, White Turn-Signal Lights. 28/37 City/Highway MPG Price Displayed Includes Financial Lender Incentive, Trade-In Incentive, and other applicable rebates. See dealer for details. Buyers outside the Omaha metro area may be subject to a $385 Out of State Security and Compliance Fee. 2019 MINI Cooper S Active Driving Assistant, Automatic Climate Control, Black Roof & Mirror Caps, Comfort Access Keyless Entry, JCW Leather Steering Wheel, Panoramic Moonroof, Piano Black Interior Surface, Signature Line Package, SiriusXM Satellite Radio, Storage Package, Wheels: 17" x 7.0" Propeller Spoke 2-Tone Alloy. 23/32 City/Highway MPG Price Displayed Includes Financial Lender Incentive, Trade-In Incentive, and other applicable rebates. See dealer for details. Buyers outside the Omaha metro area may be subject to a $385 Out of State Security and Compliance Fee. 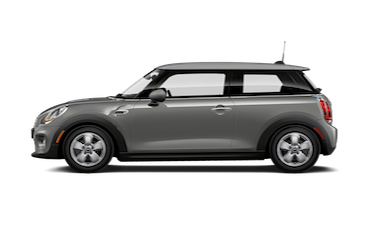 2019 MINI Cooper S 23/32 City/Highway MPG Price Displayed Includes Financial Lender Incentive, Trade-In Incentive, and other applicable rebates. See dealer for details. Buyers outside the Omaha metro area may be subject to a $385 Out of State Security and Compliance Fee. 2019 MINI Cooper S Active Driving Assistant, Automatic Climate Control, Comfort Access Keyless Entry, Exterior Parking Camera Rear, Fully automatic headlights, Heated Front Seats, JCW Leather Steering Wheel, Panoramic Moonroof, Piano Black Interior Surface, Rear Parking Sensors, Signature Line Package, SiriusXM Satellite Radio, Steering wheel mounted audio controls, Wheels: 17" x 7.0" Tentacle Spoke Silver Alloy, White Roof & Mirror Caps. 23/32 City/Highway MPG Price Displayed Includes Financial Lender Incentive, Trade-In Incentive, and other applicable rebates. See dealer for details. Buyers outside the Omaha metro area may be subject to a $385 Out of State Security and Compliance Fee. This EXECUTIVE DEMO vehicle is Factory Certified and comes with a 5 year UNLIMITED MILE Warranty! 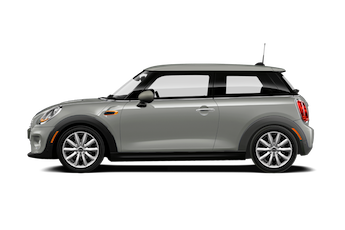 2019 MINI Cooper S Clubman Badge Deletion, Classic Trim, Heated Front Seats, Manual Climate Control, Sport Leather Steering Wheel. 22/31 City/Highway MPG Price Displayed Includes Financial Lender Incentive, Trade-In Incentive, and other applicable rebates. See dealer for details. Buyers outside the Omaha metro area may be subject to a $385 Out of State Security and Compliance Fee. This EXECUTIVE DEMO vehicle is Factory Certified and comes with a 5 year UNLIMITED MILE Warranty! Active Driving Assistant, Auto-Dimming Interior & Exterior Mirrors, Automatic Climate Control, Comfort Access Keyless Entry, harman/kardon® Logic 7® Digital Surround, JCW Leather Steering Wheel, LED Fog Lights, LED Headlights w/Cornering Lights, Panoramic Moonroof, Piano Black Exterior, Piano Black Interior Surface, Power-Folding Mirrors, Premium Package, Signature Line Package, SiriusXM Satellite Radio, Wheels: 17" x 7.0" Roulette Spoke 2-Tone Alloy, White Bonnet Stripes, White Roof & Mirror Caps. 23/32 City/Highway MPG Price Displayed Includes Financial Lender Incentive, Trade-In Incentive, and other applicable rebates. See dealer for details. Buyers outside the Omaha metro area may be subject to a $385 Out of State Security and Compliance Fee. 2019 MINI Cooper S Active Driving Assistant, Automatic Climate Control, Comfort Access Keyless Entry, Heated Front Seats, JCW Leather Steering Wheel, Panoramic Moonroof, Piano Black Interior Surface, Signature Line Package, SiriusXM Satellite Radio, Wheels: 17" x 7.0" Roulette Spoke 2-Tone Alloy, White Roof & Mirror Caps. 23/32 City/Highway MPG Price Displayed Includes Financial Lender Incentive, Trade-In Incentive, and other applicable rebates. See dealer for details. Buyers outside the Omaha metro area may be subject to a $385 Out of State Security and Compliance Fee. 2019 MINI Cooper S Countryman AWD, Badge Deletion, Classic Trim, Exterior Parking Camera Rear, Fully automatic headlights, Heated Front Seats, Interior Surface Hazy Gray, JCW Leather Steering Wheel, Manual Climate Control, Panoramic Moonroof, Rear Parking Sensors, Remote keyless entry, SiriusXM Satellite Radio, Sport Leather Steering Wheel, Steering wheel mounted audio controls. 21/30 City/Highway MPG Price Displayed Includes Financial Lender Incentive, Trade-In Incentive, and other applicable rebates. See dealer for details. Buyers outside the Omaha metro area may be subject to a $385 Out of State Security and Compliance Fee. 2019 MINI Cooper ABS brakes, Auto-Dimming Interior & Exterior Mirrors, Automatic Climate Control, Chrome Line Exterior, Comfort Access Keyless Entry, Electronic Stability Control, Emergency communication system, harman/kardon® Logic 7® Digital Surround, Heated door mirrors, Heated Front Seats, Illuminated entry, LED Fog Lights, LED Headlights w/Cornering Lights, Low tire pressure warning, MINI Excitement Package, Piano Black Interior Surface, Power-Folding Mirrors, Premium Package, Remote keyless entry, Signature Trim, SiriusXM Satellite Radio, Traction control, Wheels: 17" x 7.0" Tentacle Spoke Silver Alloy, White Turn-Signal Lights. 28/37 City/Highway MPG Price Displayed Includes Financial Lender Incentive, Trade-In Incentive, and other applicable rebates. See dealer for details. Buyers outside the Omaha metro area may be subject to a $385 Out of State Security and Compliance Fee. This EXECUTIVE DEMO vehicle is Factory Certified and comes with a 5 year UNLIMITED MILE Warranty! 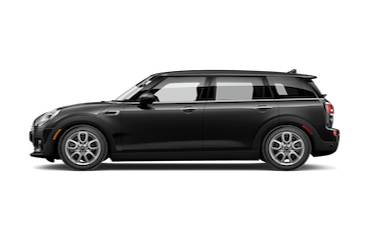 2019 MINI Cooper S Clubman Active Driving Assistant, Automatic Climate Control, Comfort Access Keyless Entry, Connected Media System w/6.5" Touchscreen, Dynamic Damper Control, Heated Front Seats, MINI Driving Modes, Panoramic Moonroof, Piano Black Interior Surface, Signature Trim, Silver Roof & Mirror Caps, SiriusXM Satellite Radio. 22/31 City/Highway MPG Price Displayed Includes Financial Lender Incentive, Trade-In Incentive, and other applicable rebates. See dealer for details. Buyers outside the Omaha metro area may be subject to a $385 Out of State Security and Compliance Fee. Blacked Out 2019 MINI Cooper S - Active Driving Assistant, Anthracite Headliner, Auto-Dimming Interior & Exterior Mirrors, Automatic Climate Control, Black Bonnet Stripes, Comfort Access Keyless Entry, harman/kardon® Logic 7® Digital Surround, JCW Leather Steering Wheel, LED Fog Lights, LED Headlights w/Cornering Lights, Panoramic Moonroof, Piano Black Exterior, Piano Black Interior Surface, Power-Folding Mirrors, Premium Package, Rear Spoiler, Signature Line Package, SiriusXM Satellite Radio, Wheels: 17" x 7.0" Cosmos Spoke Black Alloy. 23/32 City/Highway MPG Price Displayed Includes Financial Lender Incentive, Trade-In Incentive, and other applicable rebates. See dealer for details. Buyers outside the Omaha metro area may be subject to a $385 Out of State Security and Compliance Fee. 2019 MINI Cooper S Active Driving Assistant, Automatic Climate Control, Comfort Access Keyless Entry, Heated Front Seats, JCW Leather Steering Wheel, LED Headlights w/Cornering Lights, MINI Yours Fiber Alloy Interior Style, Panoramic Moonroof, Piano Black Exterior, Piano Black Interior Surface, Signature Line Package, Signature Upholstery Package, SiriusXM Satellite Radio, Storage Package, Wheels: 17" x 7.0" Roulette Spoke 2-Tone Alloy, White Roof & Mirror Caps. 23/32 City/Highway MPG Price Displayed Includes Financial Lender Incentive, Trade-In Incentive, and other applicable rebates. See dealer for details. Buyers outside the Omaha metro area may be subject to a $385 Out of State Security and Compliance Fee. 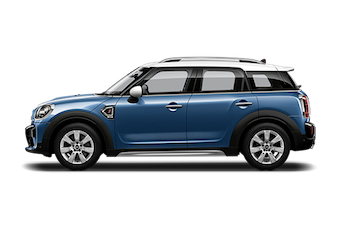 2019 MINI Cooper Countryman Active Driving Assistant, Automatic Climate Control, Black Roof & Mirror Caps, Comfort Access Keyless Entry, Connected Media System w/6.5" Touchscreen, Heated Front Seats, MINI Assist eCall, MINI Excitement Package, MINI TeleServices, Panoramic Moonroof, Piano Black Interior Surface, Signature Trim, SiriusXM Satellite Radio, Wheels: 18" x 7.5" Pin Spoke Black Alloy. 22/32 City/Highway MPG Price Displayed Includes Financial Lender Incentive, Trade-In Incentive, and other applicable rebates. See dealer for details. Buyers outside the Omaha metro area may be subject to a $385 Out of State Security and Compliance Fee. 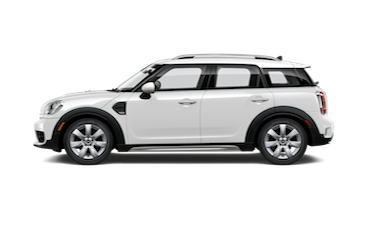 2019 MINI Cooper S Countryman AWD, Active Driving Assistant, Automatic Climate Control, Black Roof & Mirror Caps, Comfort Access Keyless Entry, Connected Media System w/6.5" Touchscreen, Dynamic Damper Control, Heated Front Seats, JCW Leather Steering Wheel, MINI Assist eCall, MINI Driving Modes, MINI TeleServices, Panoramic Moonroof, Piano Black Interior Surface, Signature Trim, SiriusXM Satellite Radio, Wheels: 18" x 7.5" Pin Spoke Black Alloy. 21/30 City/Highway MPG Price Displayed Includes Financial Lender Incentive, Trade-In Incentive, and other applicable rebates. See dealer for details. Buyers outside the Omaha metro area may be subject to a $385 Out of State Security and Compliance Fee. This EXECUTIVE DEMO vehicle is Factory Certified and comes with a 5 year UNLIMITED MILE Warrenty! 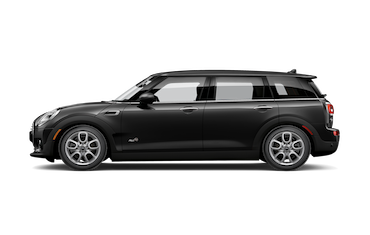 2019 MINI Cooper S Clubman Active Driving Assistant, Auto-Dimming Interior & Exterior Mirrors, Automatic Climate Control, Chrome Line Exterior, Comfort Access Keyless Entry, Connected Media System w/6.5" Touchscreen, Dynamic Damper Control, harman/kardon® Logic 7® Digital Surround, Heated Front Seats, LED Fog Lights, LED Headlights w/Cornering Lights, MINI Driving Modes, Panoramic Moonroof, Piano Black Interior Surface, Power Front Seats, Power-Folding Mirrors, Premium Package, Signature Trim, SiriusXM Satellite Radio, Wheels: 17" x 7.5" Net Spoke Black Alloy. 22/31 City/Highway MPG Price Displayed Includes Financial Lender Incentive, Trade-In Incentive, and other applicable rebates. See dealer for details. Buyers outside the Omaha metro area may be subject to a $385 Out of State Security and Compliance Fee.